Patrik Lindström Other With the sampler 'Dependence 2010' Dependent Records manages to show off well-known artists as well as some that are new to me, but all and all, they manages to impress me with their great showcase of artists. Actually most of the tracks on this compilation are great. The artists are bringing their latest and best to the table and with artists with Edge of Dawn, System Syn, Velvet Acid Christ, Interlace, Informatik, mind.in.a.box, Claire Voyant and Mesh, you are sure in for a treat. You get a great varity of different sounds and styles, with everything from hard and industrial Interlace's "Nemesis" to some electronic pop music with Mesh's "Everything I Made". Some new artists to me managed to impress me as well. Clicks' "Again and Again (And Again Mix)" is just great and have a nice groove to it. The poppy "In The Blue" made by KiloWatts and & Vanek and not to forget the very strong and powerful "The Killing Horizon" from Encephalon. 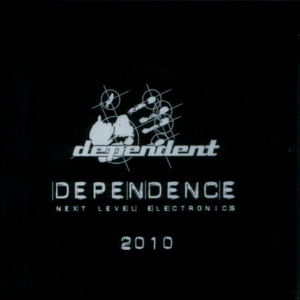 With the sampler 'Dependence 2010' Dependent Records manages to show off well-known artists as well as some that are new to me, but all and all, they manages to impress me with their great showcase of artists. This is surely the best compilation of 2010 so far. Great work Dependent.